as Supt. of Refugee Camp. and sent to Hilton Head, SC. due to wounds received in action. Surgeon's Certificate states, "Amputation right thigh lower third, result of torpedo wound received near Savannah, GA", permitted to go North. 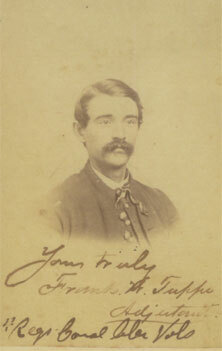 Previously served in Co L, 15th Illinois Cavalry.